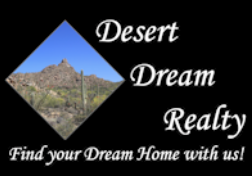 Find Your Dream Home with Us | Desert Dream Realty Cave Creek | 480-252-8300 | Find Your Dream Home with Us! Let us help you find the perfect dream home for you. Click the above link to start your search for the perfect home. Register to receive your custom personalized list of homes for sale. You can choose from city, zip, school district and more. Please be sure to fill out our Buyer's Request form at the link below.